A trip to the Apple store to fix a laptop is NEVER a fun experience. But, I might as well dress up for the occasion and make a night out of it. My laptop is luckily been replaced with a brand new MacBook after taking many trips to the Genius bar. But, it feels good to know I have a laptop that works! As for this look I stuck with something simple and easy for a night downtown and a dinner out. I purchased these shorts years ago but they have held up well, considering most Forever 21 pieces last a few wears! 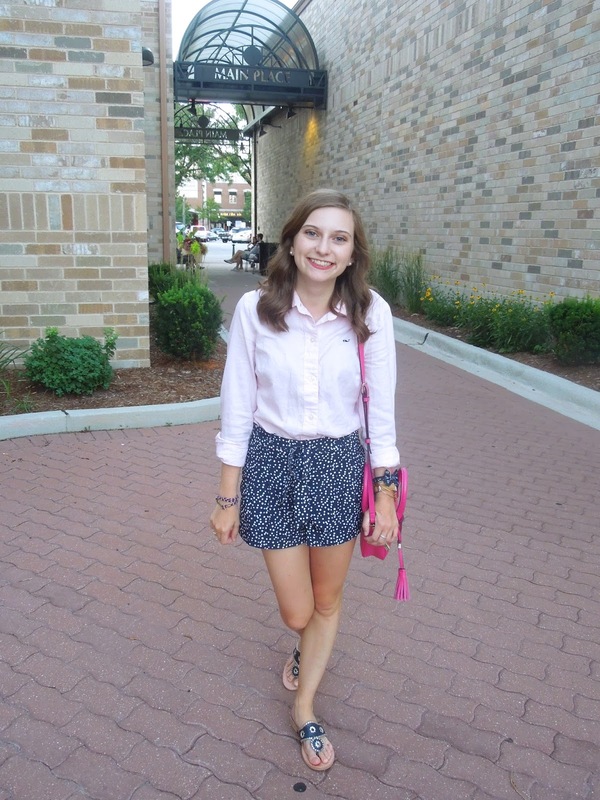 These shorts go perfectly with any top and are oh-so comfy. 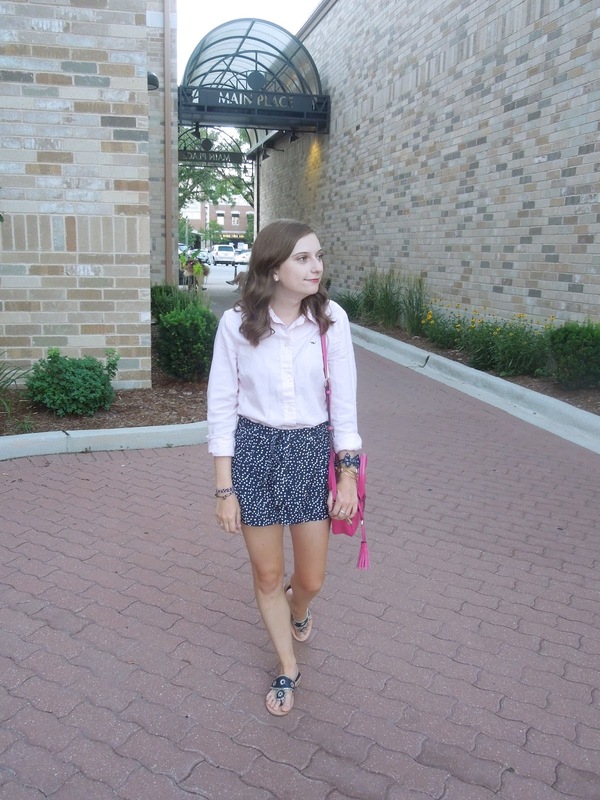 For this look I wore my current favorite button down from vineyard vines. It's very soft and breathes well even in humid weather. I've recently picked up new Jack Rogers and I've been loving mixing things up with them! I usually live in my gold pair all summer, but it's been nice to have a few different colors to choose from. As for accessories, it's nothing new that I've been wearing my KJP bracelets on repeat. The anchor Vickers Bow Bracelet is a summer favorite of mine. But, I recently picked up a white rope bracelet (featured on my IG) that I think will become my new go-to. What's your favorite casual night out look? Let me know in the comments! Love this outfit! I really love those shorts and I'm loving the pop of pink. Thank you so much! 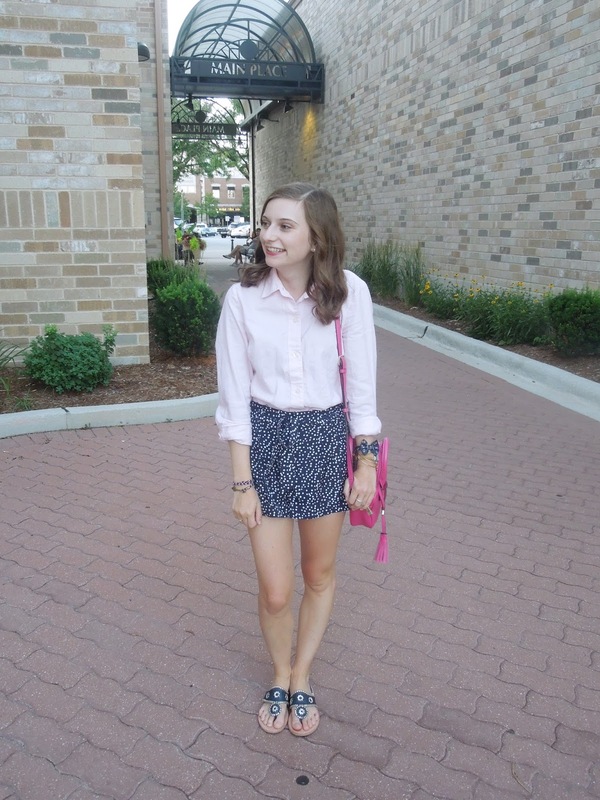 A pop of pink is always a good idea in my book :) thanks for reading!